What do you get when you marry an emerald-green American stone of explosive origins with an Irish ring steeped in tradition? A powerful symbol of a lasting relationship. 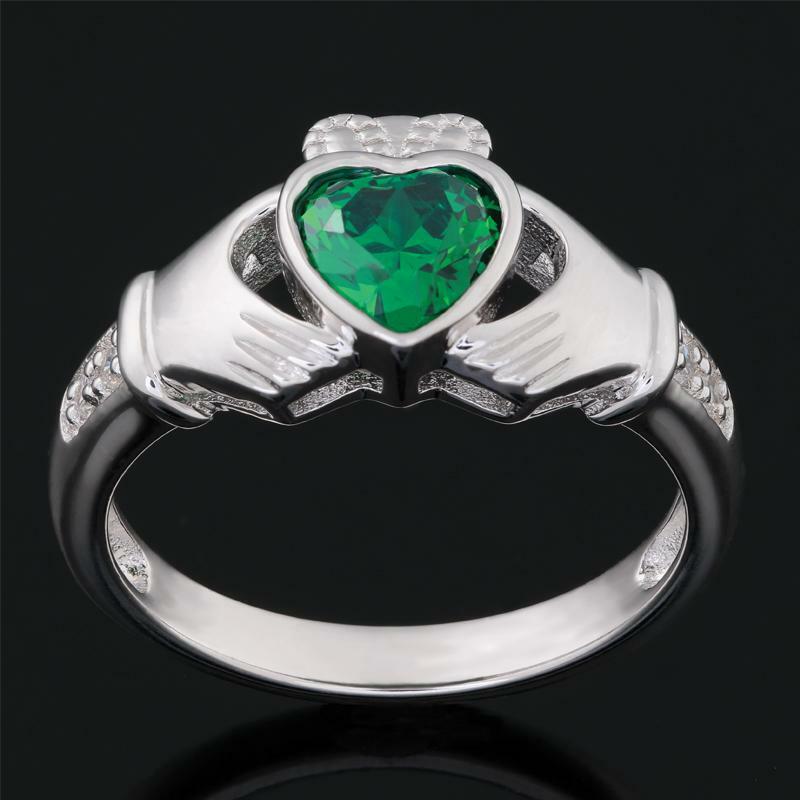 Or, more specifically the Helenite Claddagh Ring. Gorgeous green of helenite was formed when Mount St. Helens erupted in Washington, and the mineral contents of the resulting lava flow and volcanic ash were heated to form the often imitated but never bettered helenite stone. We think the traditional Irish ring of love, friendship and loyalty is the perfect place to harbor a stone greener than the lushest shamrock. The traditional wedding ring of the Irish since the 17th century, the Claddagh ring is worn by people all over the world as a universal symbol of love, loyalty, and friendship. The hands represent friendship, the heart symbolizes love; and, the crown stands for loyalty. Set in sterling silver with a sprinkling of scientifically-grown DiamondAura® on the crown, this is a ring rich in American history and European tradition.